The eldest ancestor is Giselbert, Count in the Maasgau, who married before March 846 a daughter of Emperor Lothar I. 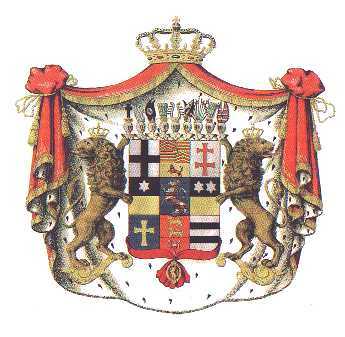 Their descendants became Counts of Hainaut, Dukes of Lower Lorraine and in 1191 Dukes of Brabant. 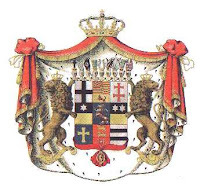 Duke Hendrik II married Sophie of Thüringen, their son Heinrich I inherited Thüringen and Hessen from his great uncle and became the founder of the dynasty of the Landgraves of Hessen. His descendant Wilhelm IV (1532-1592) was the first Landgraf of Hessen-Kassel. Kurfürst von Hessen in 1803 and annexed by Prussia in 1866. Friedrich Karl Landgraf of Hessen was in October 1918 elected as King of Finland, but with the defeat of Germany a month later, this plan was terminated.